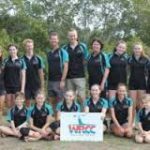 Queensland Canoeing presents a number of awards each year to recognise individuals and clubs that have made a significant contribution to the development of canoeing in Queensland. 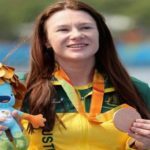 Award winners presentations will be made at the Queensland Canoeing Annual Awards night on Saturday 1st September 2018. This year’s event will be hosted in the Brosnan Room at Colmslie Hotel, Wynnum Rd & Junction Rd, Morningside. Start time is 6pm. Dress is smart casual. Tickets are $60 per person and include a set two course dinner (main and desert) and a complimentary drink upon arrival. Tickets are available online at https://www.registernow.com.au/secure/Register.aspx?E=31166. Clubs wishing to organise a table of ten (10) for a discounted price of $550 (per table) can complete the 2018 QC Awards Dinner – Ticket Order or contact QC on (07) 3899 1667 for more details. Why not stay the night at Colmslie Hotel! For special rates on King Executive Suites ($175) and Twin Executive Suites ($195) contact Colmslie Reception on 3399 8222 and mention the you;re there for the QC Annual Awards night. Then enjoy you’re night! 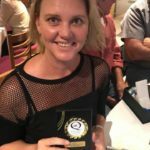 CANOEIST OF THE YEAR A paddler who has achieved outstanding results during the award period and must have been a member^ of Queensland Canoeing through an affiliated club. 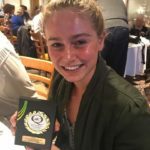 JUNIOR CANOEIST OF THE YEAR A paddler 18 years or younger, who has achieved outstanding results during the award period and must have been a member^ of Queensland Canoeing through an affiliated club. 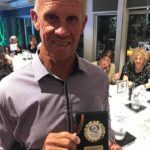 MASTERS CANOEIST OF THE YEAR A paddler 35yrs or older, who has achieved outstanding results during the award period and must have been a member^ of Queensland Canoeing through an affiliated club. VOLUNTEER OF THE YEAR A person who has made an outstanding contribution to the development and operation of canoeing in QLD as either a volunteer official, coach / assistant coach, committee member etc. either at state or club level. Consideration will be made of the significance of their contribution and the years of service prior to the award period. The person nominated under this award need not be a member of Queensland Canoeing. 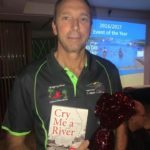 COACH OF THE YEAR A qualified coach of any canoeing discipline who has made an outstanding contribution to canoeing in Queensland. 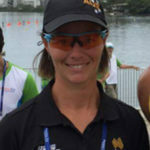 Nominee has achieved outstanding results, applied relevant training theory and coaching principles to improve the level of performance of the team or athlete, demonstrate concern for the development of the athlete in and out of the sporting environment, practise a philosophy of fair play and represent a positive role model for the sport of canoeing. 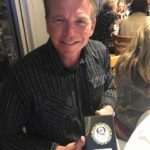 INSTRUCTOR/GUIDE OF THE YEAR A qualified guide or instructor of any canoeing discipline who has displayed exceptional program delivery to promote canoeing in Queensland. Nominees demonstrate exceptional guide/instructor skills to deliver a beneficial and memorable experience catering for all levels of skill and experience within their programs. CLUB OF THE YEAR – SOUTHERN QLD A Queensland Canoeing affiliated club based South of Maryborough which has made an outstanding contribution to canoeing in QLD. Nominated clubs must have an inclusive, open and active approach to members and the community in order to attract more members. CLUB OF THE YEAR -NORTHERN QLD A Queensland Canoeing affiliated club based in Northern Queensland (north of Maryborough) which has made an outstanding contribution to canoeing in northern Queensland. Nominated clubs must have an inclusive, open and active approach to members and the community in order to attract more members. EVENT OF THE YEAR A Queensland Canoeing or affiliated club sanctioned event (competition or recreation) that delivered an outstanding experience for competitors/ participants, officials and spectators/community. 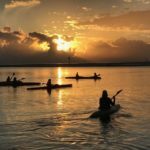 PHOTO OF THE YEAR A photo/image that portrays paddling, recreational or competition (any discipline), featuring QC member/s and/or an affiliated club participating in a local, state, national or international activity or event during the Award Year. SHORT FILM OF THE YEAR Film/video that best portrays paddling activity or event featuring QC member/s and/or an affiliated club participating in a club, state, national or international activity or event during the Award Year. Affiliated clubs of Queensland Canoeing. Life Members of Queensland Canoeing. Individual Members of Queensland Canoeing. Registered Instructors, Guides, Coaches or Officials who reside in Queensland. Other categories of Members approved by resolution of Queensland Canoeing Board.